Jane Carpanini was born in Bedfordshire in 1949. She studied at Brighton College of Art and the University of Reading. She was elected RWA in 1977, RWS in 1978 and RCA IN 1992. Early in her career Jane established a reputation for meticulous watercolours of landscape and architecture. Truthfulness to detail and an aesthetically appreciative involvement with her subject produced a volume of work that can be seen as both document and interpretation. 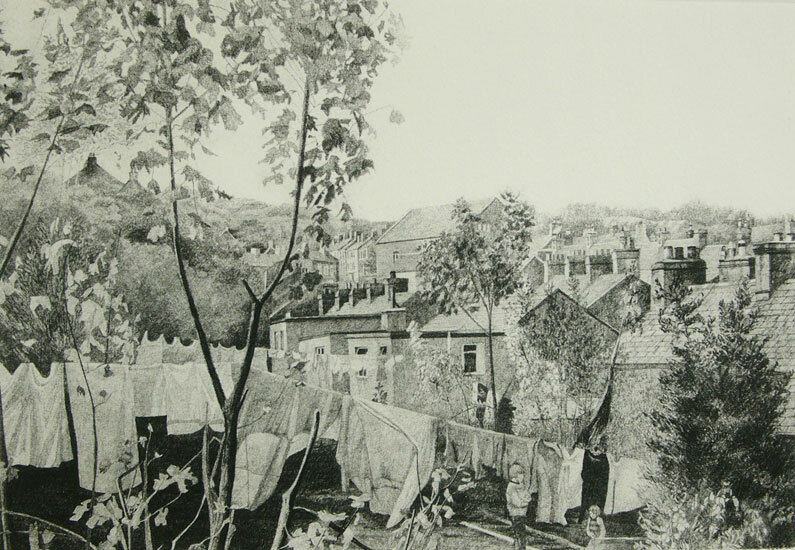 Her paintings of mountains and castles juxtaposed with backyards and modest dwellings are in the collections of the National Library of Wales and the National Museum of Wales, and it was with Welsh subject matter (Backyards Treorchy) that she won the Hunting Prize for the watercolour of the year by a British Artist in 1983. Her work has been featured in a variety of television programmes, the most recent, A Word in Your Eye, HTV 1997, exploring the links between poetry and painting in Wales. The habit of seeking out and expressing a visual excitement adapts readily to commissioned topography and her paintings of Oxford and Cambridge Colleges have featured regularly in the Cam and Oxford Today magazines; four books featuring these images have been published by Contemporary Watercolours Limited. Similar work was done for a number of schools and other commissioned subjects have ranged from private gardens to nationally famous commercial premises. A love of the countryside in general fuelled her creativity since childhood, images of a green and pleasant land are held by the Bridgeman Library. Watercolours and drawings have found their way into various publications and onto CD covers. 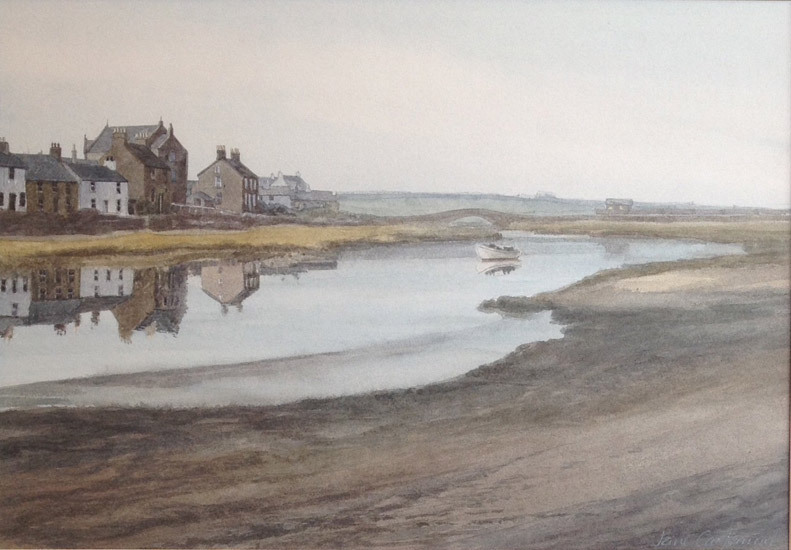 Although illness resulted in her premature retirement as a painter she has, none the less, contributed to a number of publications exploring the art of watercolour including the Watercolour Expert and Watercolour Masters – Then & Now published by Cassell Illustrated. 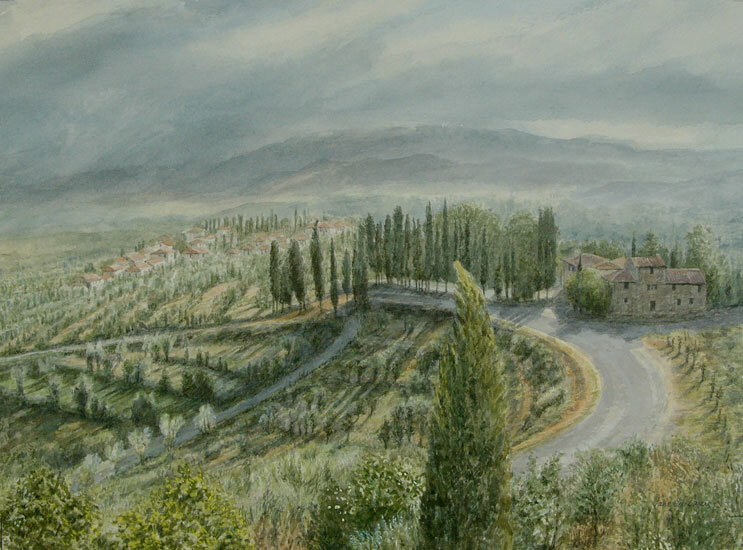 Her fascination with different visual challenges resulted in a large group of paintings, drawings and etchings featuring the architecture and landscape of Tuscany and Northern Italy, while her love of music and opera led to opportunities to produce a series of paintings of the rank and file performers at the Opera Festival in Verona. 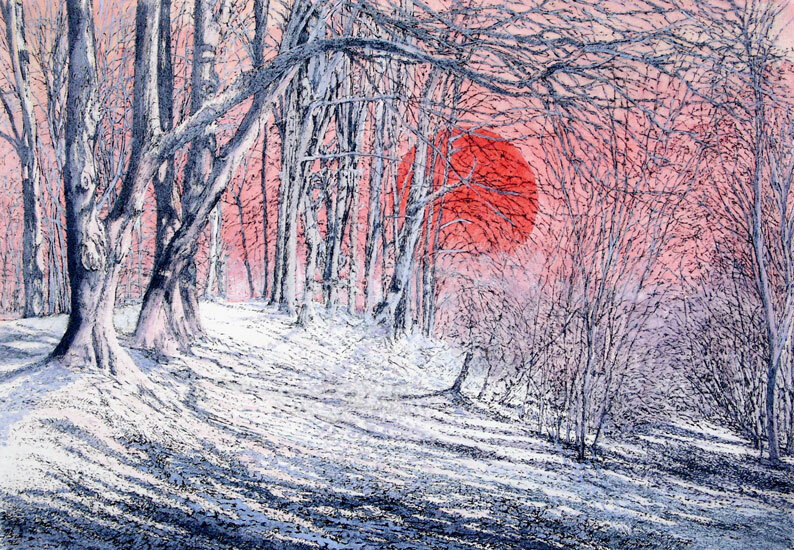 Jane has exhibited widely and her work is held by many public and private collections both in this country and abroad. She was a regular exhibitor with the major Societies of which she is a member and was the first woman officer of the Royal Watercolour Society, serving as the Honorary Treasurer and also as Vice – President. In 2003 she was nominated for the presidency of the RWS becoming the first ever female candidate for the post.